Church Cottage, formerly the stables to St Nicholas Church is now a 2 bed cottage. The cottage is stone built, detached and has been converted over the past 4 years, we have gone to great lengths to make it ‘just right’. We work hard to do that little bit more. We aim to provide everything you need, there’s abundant firewood, high quality tv/audio equipment, fibre-broadband, endless hot water and incomparable views. Kyloe is in North Northumberland overlooking Holy Island (LIndisfarne), and is blessed with endless woodland walks, miles of empty unspoiled beaches, historic towns and spectacular views around every corner. 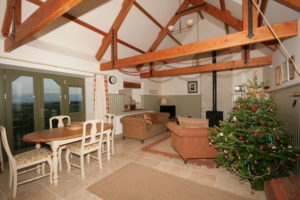 The cottage is perfectly for getting out & about, and a great excuse for spoiling yourself in the evening.